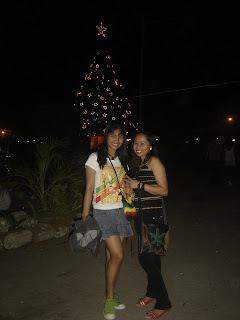 In The Eyes Of The Beholder: Reggae Fiesta with Kuerdas!!! Last night was a blast! 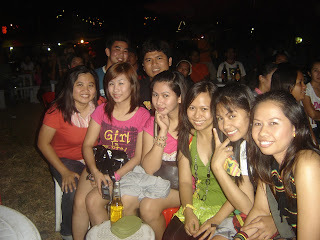 It was the last celebration of Octoberfest sponsored by San Miguel Beer. The festivity actually started first week of September this year. 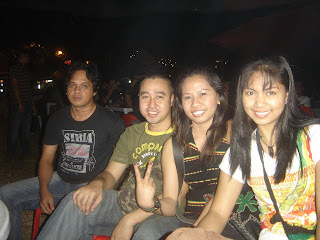 And from that month onwards, Kuerdas was one of the major bands who played on most gigs which were situated at the Oval Plaza of General Santos City. As usual, there were a lot of spectators last night. 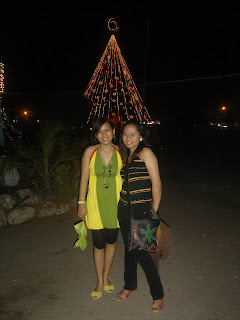 I had so much fun and some of our relatives who were from Davao City also came and watched our performance. Here are some of the pictures taken and I hope you'll like the unrehearsed song on the video! Happy New Year everyone!!! God bless us all!!! woooowww! u'r so cool Allena! Kung naa palang ko sa Gensan naki jam nako ug sayaw! sayaw lang ha kay d man ko kabalo mukanta ehehe! Bitaw, fan jud ko sang mga lead singers or kinsa ang naki jam sa stage mapako jud akong mata sa nagkanta. great performance Al! did i say u rocked the night? hmm... i bet u did! happy new year to you and to everyone around! You certainly had a great time. WOW!!! bugaya nimu.. nalingaw ko sa video..It feels alright jud kung naa ko talent like yours..hahah! Only now I saw the video. Cool performance!!! I heart regee too.